Looking for an epic mid-week adventure like no other? 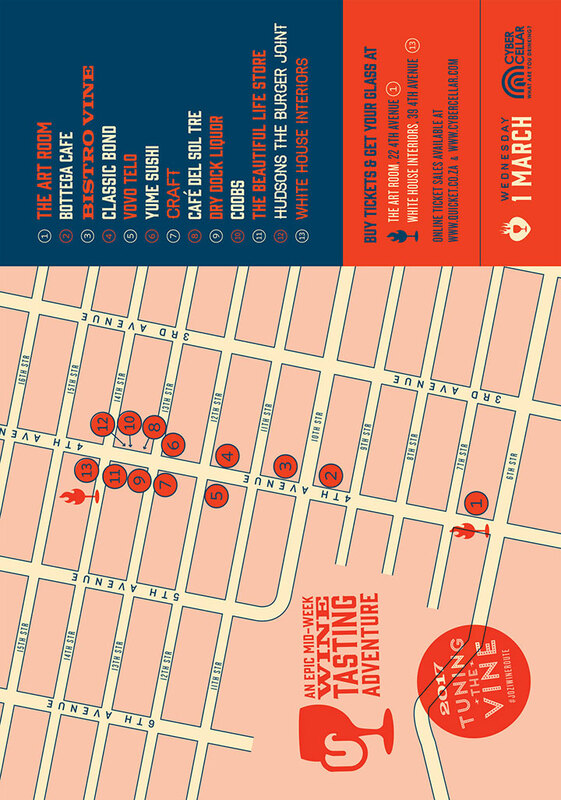 Tuning the Vine brings the best of the Cape Winelands to 4th Avenue, Parkhurst for the first ever #JoziWineRoute between 6pm and 9pm on Wednesday, 1 March 2017. 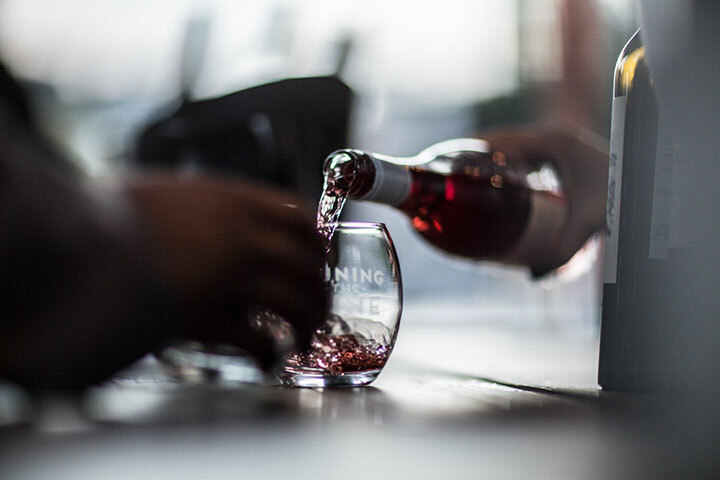 Whether you’re an experienced wino wanting access to your favourite producers, or a curious newbie looking to demystify the wine world, prepare to uncork the fun at this big city urban wine adventure as you sip your way from one tasting to another. 1 March will see an exciting lineup of more than 20 South African producers, ready to get tasting and talking wine. From farm favourites to best kept secrets, each will have with them an incredible selection wines for you to discover. Also letting you explore the hottest restaurants, spots and shops along the strip, venues for March are The Art Room, Bottega Café, Bistro Vine, Vovo Telo, Classic Bond, Craft, YuMe, Café del Sol Tre, Coobs, Hudsons The Burger Joint, Dry Dock Liquor, White House Interiors and The Beautiful Life. Tickets: Pre-tickets are available from Quicket for R250. Alternatively buy tickets from The Art Room or White House Interiors using SnapScan or the card facilities on the night. There will be no cash sales on the evening. Be curious. Each person pouring is passionate about their wine, so ask questions and fall in love with new wines. Some venues have some beautiful stuff on sale … so it’s good to browse. Find the wine fairies. If you’re lost, they’ll be able to show you around. It’s a good idea to grab a quick bite between tastings, and some of the venues will have food on sale. Settle down. Tastings close at 9pm but many #JoziWineRoute venues offer delicious supper options, so there’s no rush. 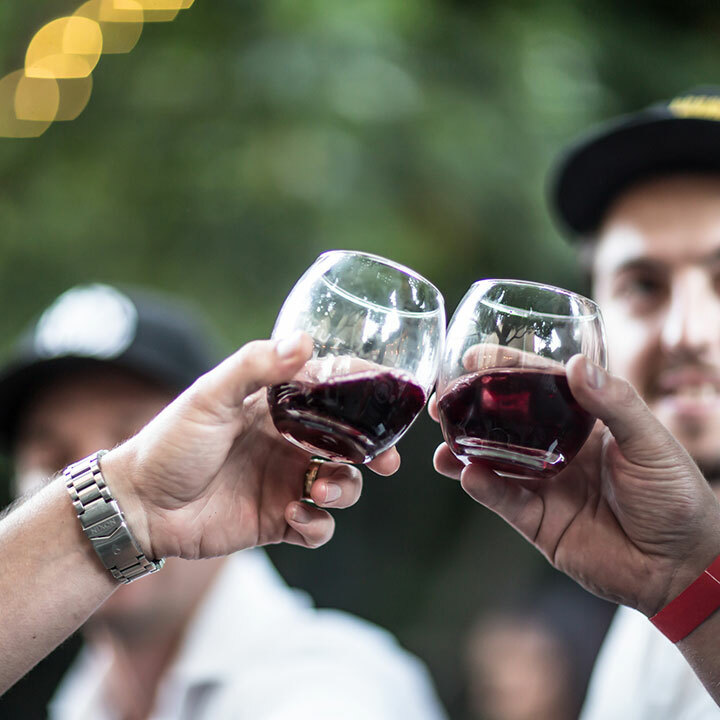 So ready your taste buds and prepare to fine-tune your wine senses as the energy of the #JoziWineRoute comes alive. Producers for March include Steenberg, Waterford Estate, Creation, Hermanuspietersfontein, Vondeling, Genevieve, Kleinood, Beaumont, Oldenburg, Jordan, Idiom, Waverley Hills, Strandveld, Zevenwacht, Spier, The Drift, Durbanville Hills, Montpellier and Survivor Wines, with more names to be announced. The next events will take place on Wednesdays 5 April and 3 May 2017. Visit www.tuningthevine.co.za for more details.